Shane van Gisbergen has backed up yesterday’s qualifying effort with ARMOR ALL Pole Position today in the Top 10 Shootout in Darwin. Nissan has also continued its form, but this time it’s Todd Kelly leading the squad, the team boss and former Bathurst winner to start alongside the Bull on the front row. After an error on the restart, and a drive through penalty in yesterday’s race, van Gisbergen said today he’s focusing on being error free – he drove a clean lap for his 1min06.6797 effort. “Awesome – hopefully today no mistakes, that’s the motto. 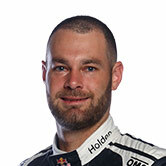 Front row again … the car’s really strong, thanks to the guys,” van Gisbergen said. Kelly was pleased to start at the front, 0.0523sec behind and the first runner out on track for the top 10. Nissan won yesterday with Michael Caruso behind the wheel. “I’m really happy about that [lap], actually we used every set of tyres just to get into the shootout,” Kelly said. Mark Winterbottom lines up in third, with Tim Slade, Rick Kelly and fastest qualifying man Craig Lowndes in sixth. All four manufacturers were represented in the shootout, with Volvo’s Scott McLaughlin next in the order. 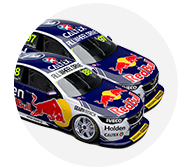 Yesterday’s winner Caruso was ninth and six-time champ Jamie Whincup was ruing an error that saw him lock the rear tyres just before the last sector rand lose one second. Click here for full results from the Top 10 Shootout. Click here for qualifying results, which set from position 11 onwards. The 200km race kicks off at 1.30pm local time.